Free One Way Car and Campervan Hire. Families, backpackers and road-tripping couples looking to save money on their next holiday will love LifeSocial Rideshare's campervan and car rental relocation offering. You can be off on a road trip for as little as zero dollars. 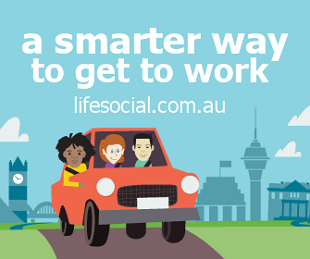 A quick browse of LifeSocial Rideshare's relocation page will show that all of the vehicles are priced between $0 and $5 per day. They've even included a search filter to make it easier to find free vehicles. Seasonal changes between the states, or an increased demand for vehicles because of festivals or events, means there are campervan rentals forever on the move and in need of relocation. Each morning LifeSocial Rideshare publishes its latest deals for travel in the next two to three weeks. Fuel subsidies and insurance coverage are offered on selected vehicles and there are no booking fees. Vehicles have to be picked up within 2 days of making the booking, and it's important not to go over the delivery date or you will be hit with a fee. Extra days are available on most vehicles and the rates vary according to each vehicle. LifeSocial Rideshare's Dan Skill says the deals are perfect for flexible travellers. "They're cheap and a great way to get around this awesome country of ours, Simply find the vehicle that suits you and select the Book Now button." One question often asked is why are the vehicles free to hire, what's the catch? Truth is there is no catch. Car rental companies such as Budget, Hertz, Avis and Thrifty all have a problem. Let's take Sam, he is travelling up the east coast and then flying out. Sam rents a car from Avis, picks up the vehicle from Byron Bay and drives to Cairns. Sam leaves the car with Avis in Cairns and then jumps on his flight to New Zealand. Avis in Cairns are left with the vehicle, this vehicle is needed back in Byron Bay. Rather than going to the expense of putting the vehicle on the back of a truck, the vehicle becomes available to list as a relocation vehicle. This is how you end up with a great deal on hiring a car or campervan.